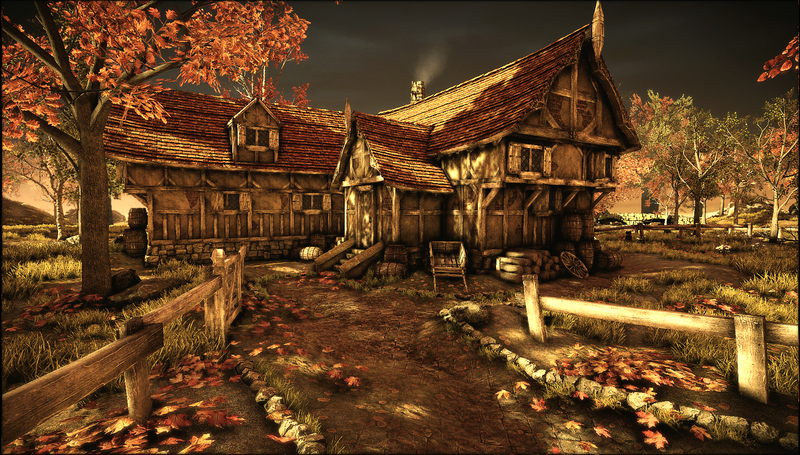 Based on the painting, "The Moated Grange", by Benjamin Leader. 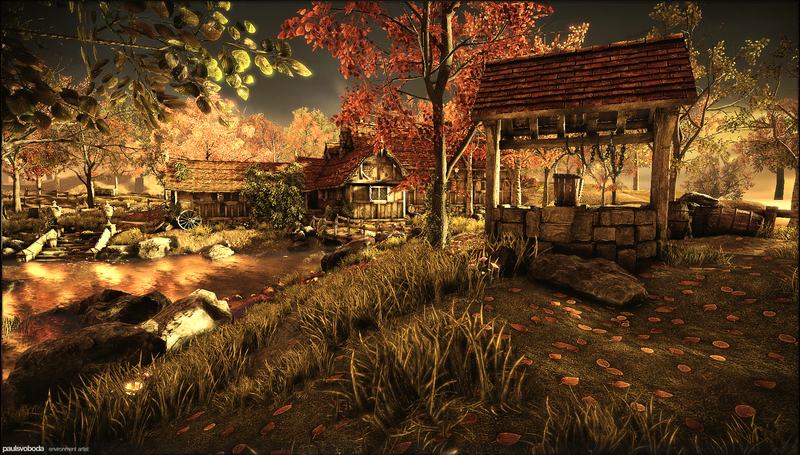 The scene uses a modular workflow for the buildings, fences and stone walls. Assets were created using Maya, zBrush and Photoshop. 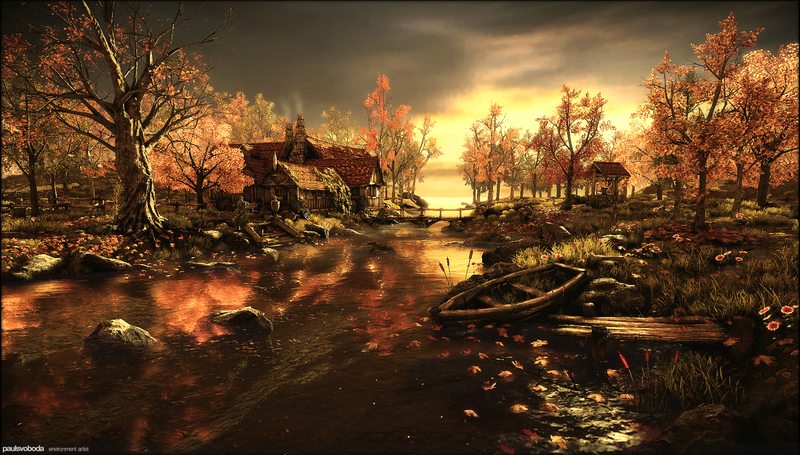 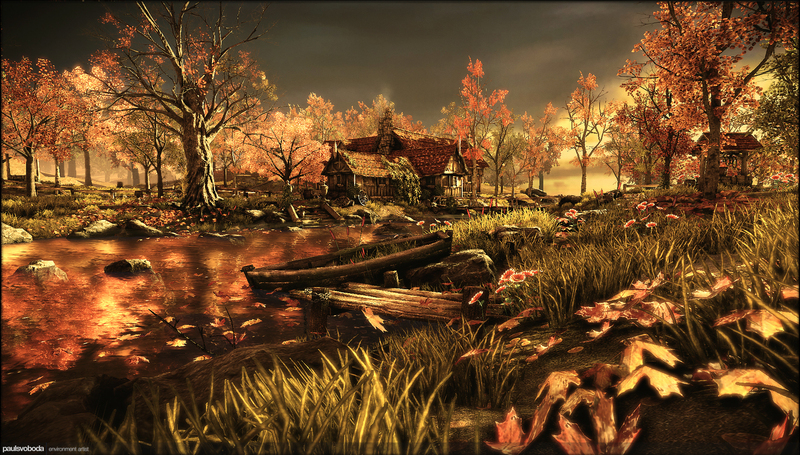 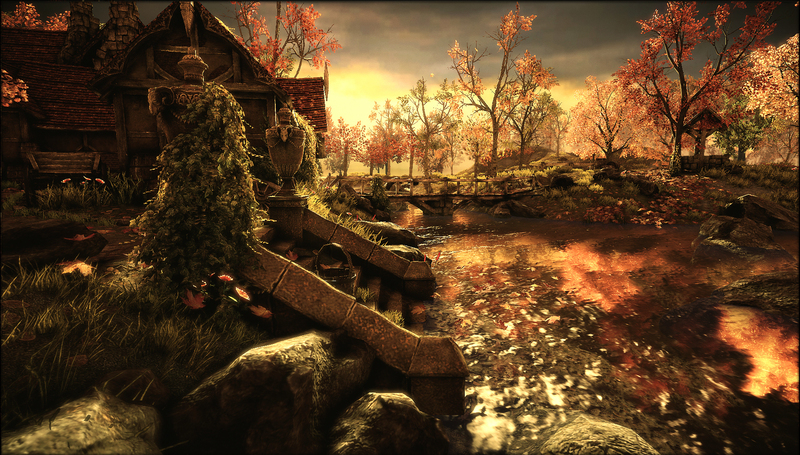 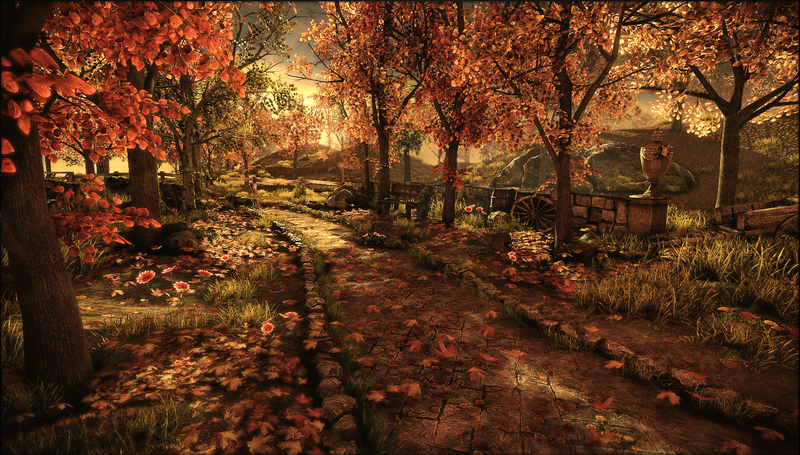 The final scene was assembled in the Unreal Development Kit (UDK). 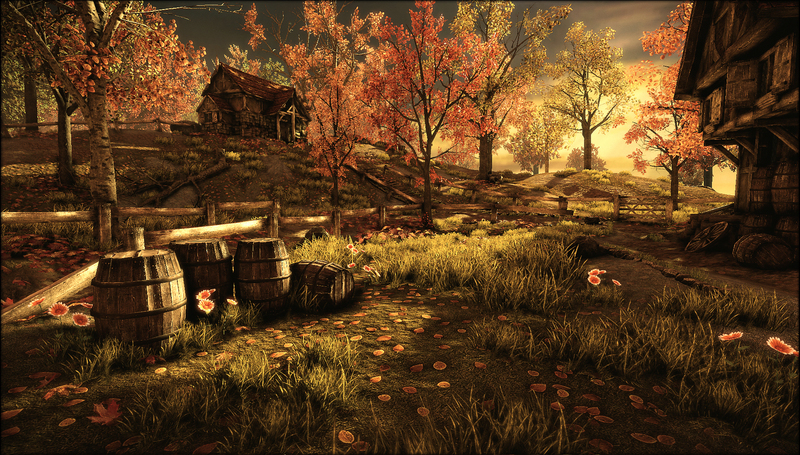 The entire scene's texture usage when atlased is 2048x4096.